A debate between Republican Gov. Paul LePage and lawmakers over the status of dozens of bills on his desk may not be resolved any time soon. 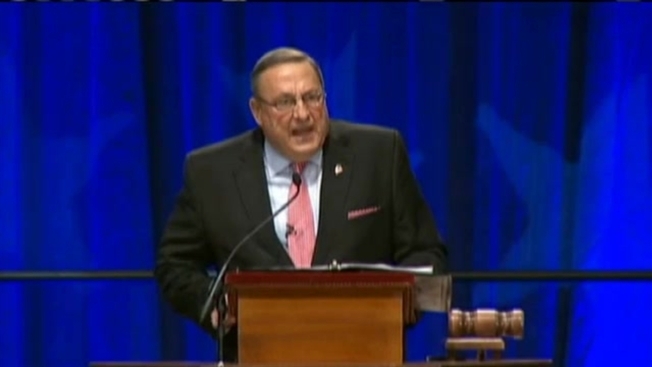 LePage told the Maine Public Broadcasting Network on Monday that he plans to ask the Maine Supreme Court for its opinion, but hasn't yet decided when he will do that. He said he may wait until January. LePage says that because lawmakers adjourned last month, he can still veto bills on his desk when they return to Augusta. But lawmakers and Attorney General Janet Mills say the bills are now law because LePage missed his 10-day deadline to act on them. They say that lawmakers recessed but haven't yet adjourned. Lawmakers plan to return on Thursday to finish their work for the session.